Group buying is one of the hottest trends in online shopping arena these days. And why wouldn’t it! With so many websites offering bulk deals at incredibly low prices, everyone wants to be that clever guy who got the better deal – and this is what brings these websites so much profit. So, if you want to be a part of this bandwagon by launching your own group buying website, then what’s stopping you? Well, the missing link between you and your successful group buying website is an ideal WordPress theme and useful plugins. So, in this post, I’m featuring the best WordPress themes and plugins that enable you to start your own successful group buying website. Let’s take a look. WooCommerce by Automattic has immense support for all kinds of products; thus it is an ideal choice for building group-buying sites. Moreover, this tool is extensible through plugins, allowing you to add or remove features as and when required. WP eCommerce is another e-commerce solution that supports extensive customizations and provides marketing tools to take your group-buying site to the next level. Because it has provision for dozens of payment gateways like eProcessing Network, XERO, AffiliateWP, etc., you can conveniently process payments across the globe. WooCommerce Group & Daily Deals is a mobile-ready plugin that allows creating groups and different types of deals. The deals can be easily customized based on the categories of customers and you can also schedule the deals to promote on select days only. Another exciting feature is that it makes your site translation-ready. WP Coupons and Deals is a lightweight plugin to showcase deals and coupons on your website. A unique feature I see is that it provides a live preview of a coupon while inserting it in the post straight from the post editor. You can also categorize the coupons and show your exclusive coupons and deals anywhere on the site using widgets. Affiliate Coupons helps you earn money through affiliate referral offers by promoting product vouchers and deals. An interesting feature I see is, you can link your coupons to vendors to categorize them and display them easily using a shortcode. Social Deals Engine is another deals plugin with some unique features like extendable functionalities, powerful shopping cart, social checkout options, etc. It allows showing special offers and deals with configuration options such as scarcity, exclusivity, limited quantity, etc. With its integrated cart, users can avail multiple deals easy way. What more surprised me is, you can integrate this plugin with WP eCommerce and add promotions menu to the products menu. 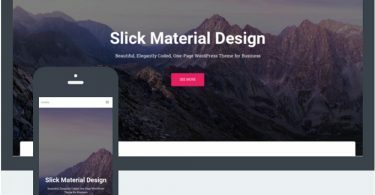 With 50+ flexible templates, you can choose the perfect one that suits your site – a feature that makes it unique from the rest of plugins. Last but not the least, it also supports sending newsletters and provides real-time stats. Competition Form converts your Contact Form 7 forms into competition or sweepstake entry forms, which helps you collect entries and view them directly from your dashboard. The entries are arranged via Contact Form 7 only and it allows to export them to a CSV too. Woocommerce Role Pricing plugin provides an option to set rates and discounts according to the role of the viewer. While visiting your site, every customer can view the store with or without discounted prices – a unique feature that sets this plugin apart from others. VoucherPress allows you to create vouchers, coupons, and tickets for products shown on your website. It offers some customization options like choosing the layout and font for its templates. Also, you can download and print the vouchers from its web link. WooCommerce Group Buy and Deals plugin works as an extension to the WooCommerce plugin mentioned above on this list. This extension helps to design group-buying sites which work exactly like Groupon and are heavily customizable as well. Kupon helps you create terrific-looking coupons and deals site and sell physical as well as digital products. The theme offers numerous premium features that save you from buying premium plugins, for example, daily deals marketplace support and a feature to track failed deals and fund money manually for them. WPGroupbuy allows the creation of a beautiful and flexible deal website. A unique feature of this plugin is, it lets your users create business accounts and submit deals and track sales directly on your website. Moreover, you can even view advanced reports and stats, and export the report data to a CSV too. Daily Deal is a featureful coupon theme that helps to create deal sites. You can create various types of coupons and sweepstakes and customize homepage as needed. Using its “Submit Deal” form, you can even allow your users to submit deals. Also, you can customize the submission form, add different types of deals, and configure email notifications. CouponHut is a coupon-specific theme for WordPress that comes with a clean, responsive design, allowing you build deal and coupon sites. You can add percentage based discounts, expiry dates, and time triggered events to your coupons – a fantastic feature I find only in this theme. Also, it provides various ad blocks to display ads. CouponXL is optimized for creating websites to sell coupons, deals, and offers. I found it amazing that one can enable its membership system and manage affiliates and other members. You can even allow them to showcase their deals and products. Clipper comes with easy monetization tools and features to earn by creating a coupon website. I found a unique feature called custom write panel, which lets you easily edit the vouchers from the admin dashboard. With its submit coupon form, you can easily accept coupons from your visitors and list them on your site. Couponer is a discount and coupon theme which can be customized with multiple options. You can easily create vouchers and show daily deals to your visitors. The theme offers premium design, membership features, unlimited colors, and more. Deals is a fully functional theme incorporating a coupon management system that lets you create and show discounts and coupons and earn money through ads. Interestingly, the theme includes a user rating and voting system that allows your visitors give their feedback and helps improve your site’s visibility. DealPress transforms your site to a group buying website that offers various fully-functional features. The theme makes it easier for you to post deals and write blog posts to attract organic traffic. An interesting feature is, it supports numerous payment gateways to help you monetize your deal site and charge the members.